Few dilemmas in the history of human thought have aroused debates so exciting as that on consciousness. In the past, few scholars recognised scientific dignity to the issue, perhaps because of its subjective nature. Conditioned by limitations of the introspective method and by the unnatural opposition between conscious and unconscious, the study of consciousness has been the exclusive prerogative of philosophy, literature and theology, strengthening the prejudice that separates humanistic and scientific culture. Mauro Maldonato sets out to establish a fruitful dialogue between different disciplines, investigating consciousness from points of view that shape awareness of ourselves and of the world. For every one of us, consciousness is a primary, immediate, permanent fact the core of life itself. Why, then, are we so far from forming any definitive picture of what it is, and what it means for us? The study of the biological bases for consciousness has shown how physics is incapable of providing credible solutions; the lack of means to describe the interactions between neuronal structures and qualitative experiences leads to an investigative dead end. But this explanatory shortfall does not authorise us to postulate the existence of an inaccessible sancta sanctorum. A scientific project to naturalise consciousness attempting to ground our relational life and human action in biology has to recognise issues of complexity, and the irreversibility and historical contingency of our individual phenomenalistic experience. 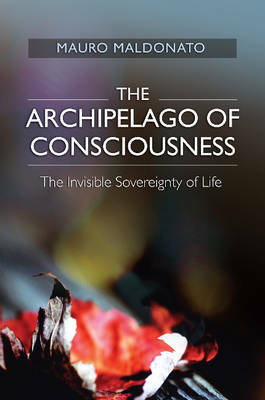 The ground-breaking Archipelago of Consciousness: How Biology invents Culture follows the authors well received writings on Natural Logic, Decision Making and the Predictive Brain.